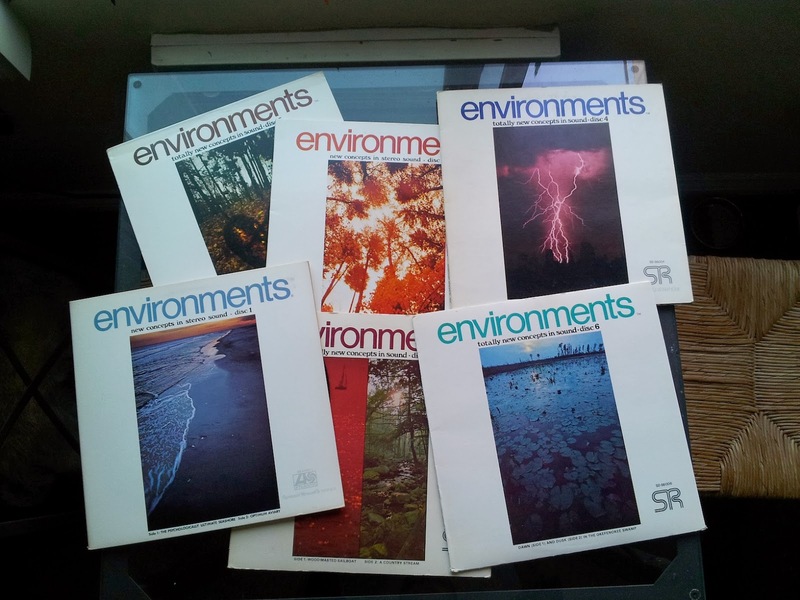 These handsome beauties you’re looking at today are the bulk of a collection called the Environments series, a group of natural sound field recordings released as LPs and cassettes between 1970 – 1979. They range from crickets and bullfrogs in a swamp at dusk to waves crashing on a seashore. If you’re expecting some kind of Tangerine Dream-esque, synth odyssey happening here, you’ll probably be disappointed. These records have no musical accompaniment but can make for a very rewarding experience if played at the right volume and in the correct setting. 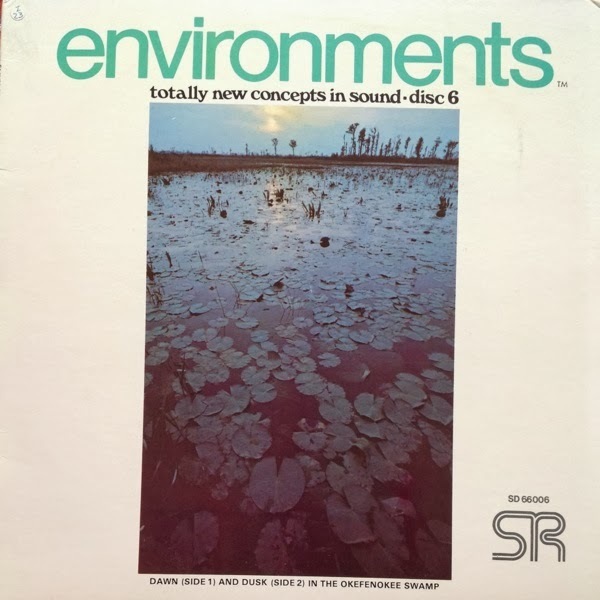 I like the fact that these are some of the earliest known field recordings in history, meaning in this case some guy had to literally sit out in the Okefenokee swamp with primitive recording equipment, being eaten alive by bugs and Boglins for the passion of catching 60 mins of swamp sounds. Repeatedly stated on the backside of each LP is an insane amount of hype, insisting that what you’re about to hear will be life changing. The liner notes inside give detailed instructions on “how to use” these records. Detailed isn’t even the right word, the directions given are so specific and informative that they include sections on “optimum results”, “continuous playback” “quadraphonic playback” and even “how to wash” the records. 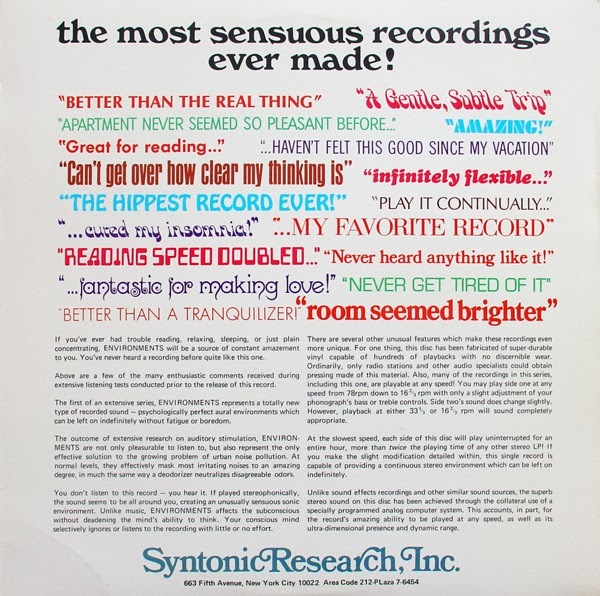 TNUC’s bottom line: If you do choose to “use” these records, whether you pop a ‘lude and vege out on the couch or meditate and meet Uncle T on the cloud of enlightenment, prepare for a healthy dose of wilderness relaxation. 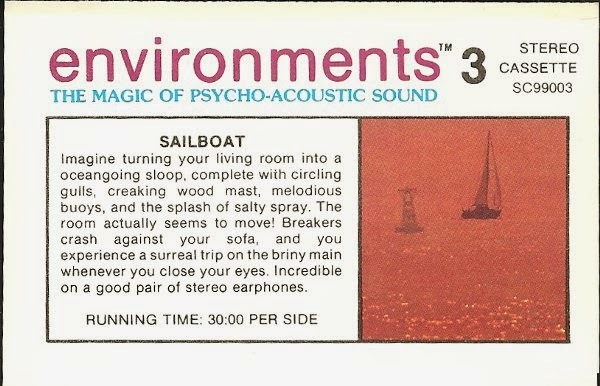 Below, one of the cassettes in the series which came after the initial run of LPs.